BLAGOVESHCHENSK (Russia) (Sputnik) - Alexander Borzhko, the former commander of Anatoly Chepiga, a cadet of the Far East Marshal K. Rokossovsky Military Command Academy, called Friday media reports alleging that the cadet was Ruslan Boshirov "schizophrenia." "In 2001, I graduated a cadet whose surname was Chepiga. Personally, I am a serviceman and can tell you that media reports of his alleged involvement in the Skripal case look like mild schizophrenia. The Far East Marshal K. Rokossovsky Military Command Academy trained military officers for combat duties, Chepiga did fight in Chechnya, but he was not trained for intelligence missions," Borzhko, who is also the regional head of the Volunteer Society for Cooperation with the Army, Aviation, and Navy, stated. The comment referred to the Wednesday's publication by UK-based investigative blogger group Bellingcat, in cooperation with the Insider Russia website, claiming that Boshirov, a suspect in the poisoning of former Russian spy Sergei Skripal and his daughter Yulia, was "in fact" a military intelligence colonel called Anatoly Chepiga. The outlet also alleged that the division in which Chepiga served played an important role in the Second Chechen War. According to Russian Foreign Ministry spokeswoman Maria Zakharova, the news about the alleged identity of Ruslan Boshirov is nothing but fake news aimed at diverting public attention from what happened in Salisbury. Earlier in September, Bellingcat, which has in the past published materials that were unconfirmed, alleged, citing uncovered passport data of the Federal Migration Service, that Petrov and Boshirov were military intelligence agents. However, Russian Deputy Interior Minister Igor Zubov said that it was impossible to obtain this kind of information from migration service data. In early September, London said it had identified Russian nationals Ruslan Boshirov and Alexander Petrov as the suspects in the Salisbury attack. Petrov and Boshirov then gave an interview with the RT broadcaster and Sputnik news agency, in which they said that they had visited the United Kingdom as tourists, and refuted any involvement in the Skripal case. 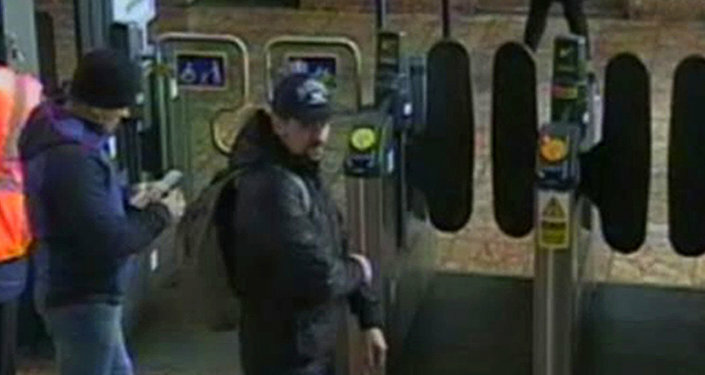 Russian authorities, in turn, said that the photos and names of the suspects released by London did not prove Moscow's involvement in the attack. Former Russian double agent Skripal and his daughter were poisoned with what London has claimed was the A234 nerve agent in the UK city of Salisbury in early March. The UK authorities have accused Russia of orchestrating the attack, but Moscow has repeatedly denied any involvement. Russian Foreign Minister Sergey Lavrov has said that the Skripal investigation was falling apart due to the lack of evidence proving Russian involvement. The Russian Foreign Ministry has sent some 60 diplomatic notes to the UK Foreign Office demanding that the access to the investigation and the injured Russian citizens, as well as requesting legal assistance and proposing cooperation, including on the joint inquiry. UK authorities have not responded to any of these notes.